This gorgeous door hanger in colors of gold, black & white will be the perfect way to greet your party guests , friends and family for New Year’s Eve. 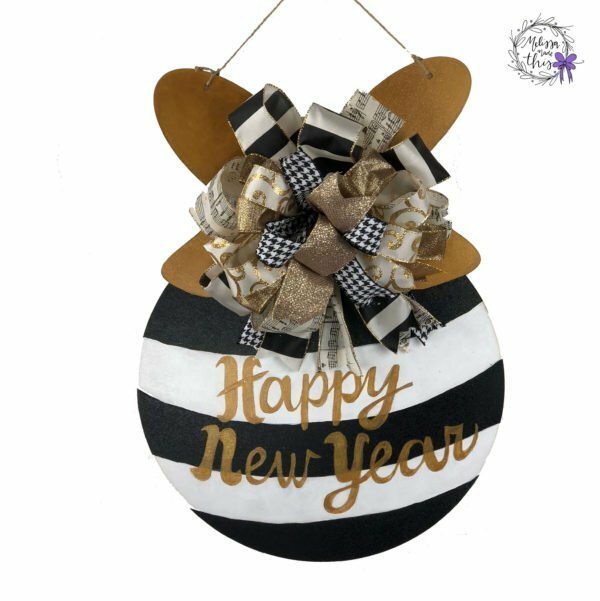 This gorgeous door hanger in colors of gold, black & white will be the perfect way to greet your party guests , friends and family for New Year’s Eve. 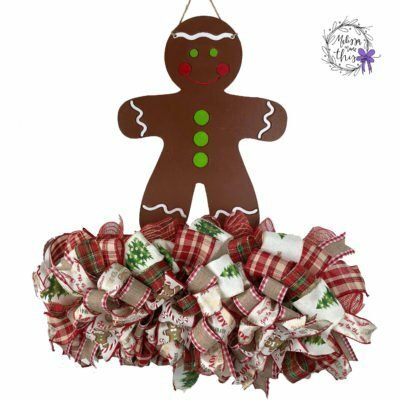 It looks great alone or with your other decorations, and can be hung on a door or on the wall. 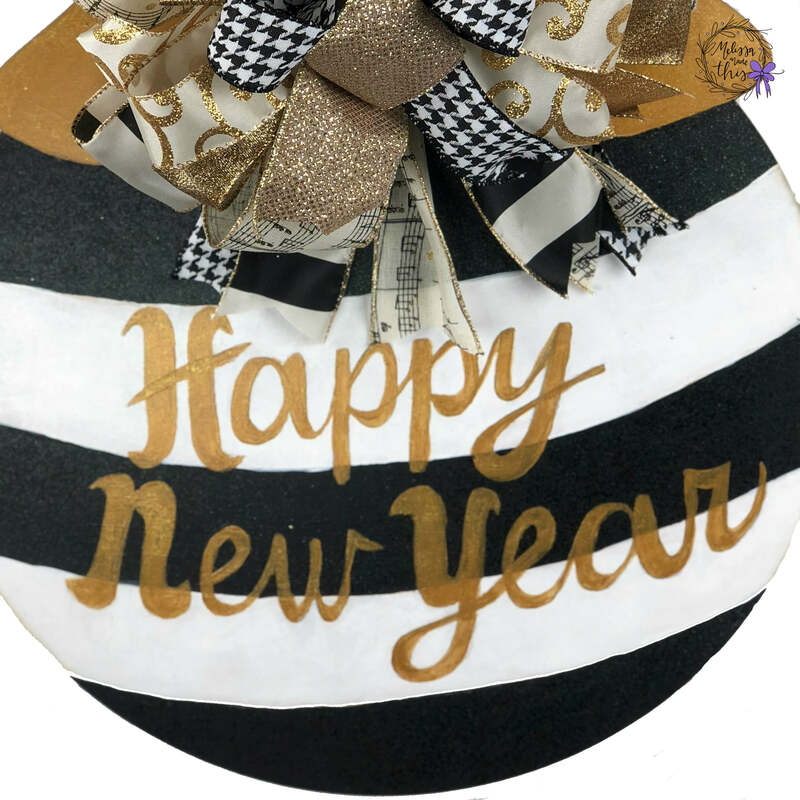 The base of this item is a painted wooden sign with metallic gold, white, and black. 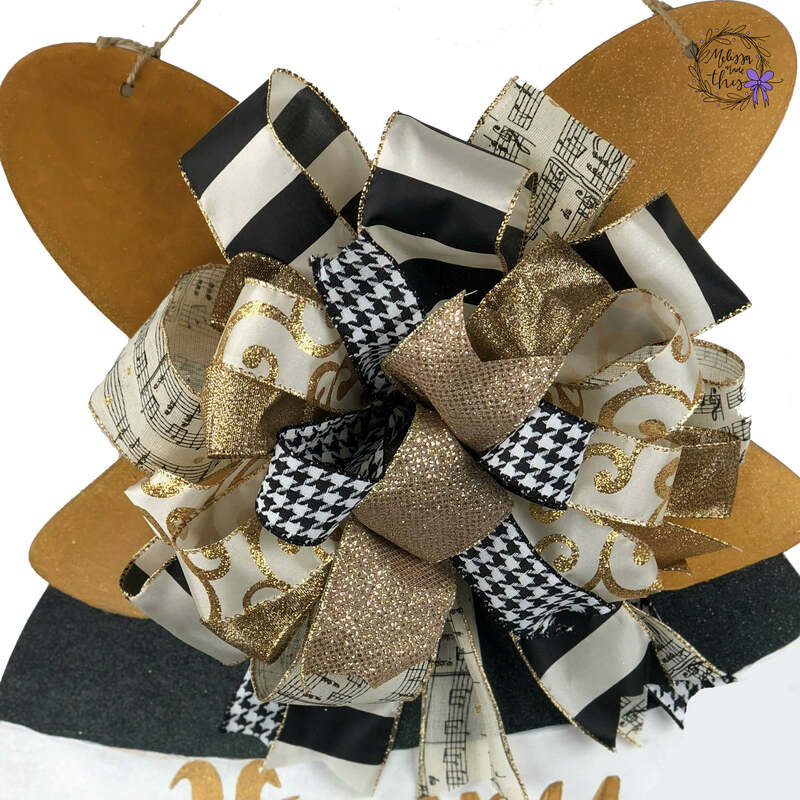 A festive bow with ribbons of gold, black & white stripes, houndstooth, music staff print, and gold scroll is the centerpiece of this door hanger. 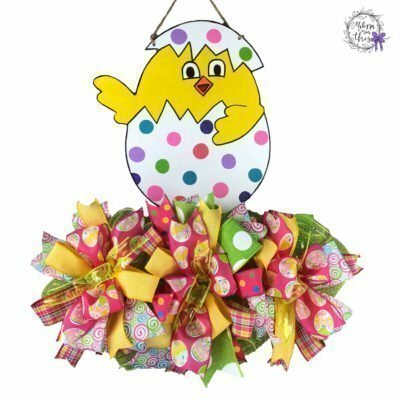 Wired ribbons add texture add fullness, and can be reshaped as needed.